Possibilities – that was the word that kept coming up while in South Africa. The ancientness of the land and humanity is palpable. And currently there are many struggles, especially economic, in this post-apartheid era. Yet I was most aware of the limitless possibilities for the future. I’m grateful and humbled to contribute to future possibilities through facilitating Peace Circles training in Johannesburg. We had a wonderful, diverse group and a fabulous host Sharon Wakeford, an international mediator and coach. It was so rewarding to know participants began implementing Circles right after the training! 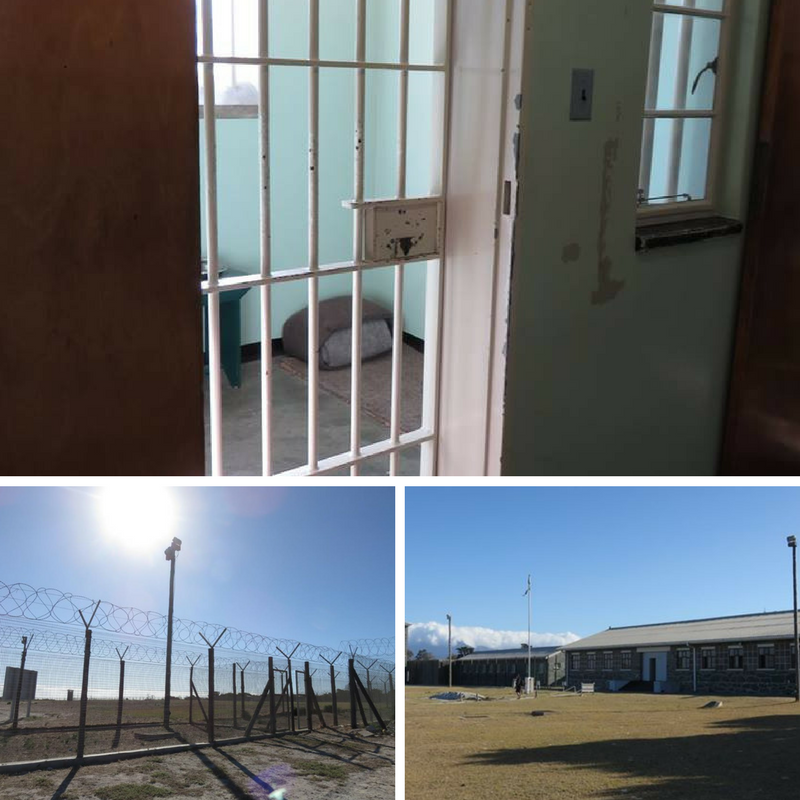 Rob ben Island has a long history, including housing the maximum security prison that held Nelson Mandela and many other political prisoners. Tour guides are former prisoners; ours talked of being tortured and imprisoned for over five years. The brutality of oppression and racism is stark and heartbreaking. This was an invitation to witness and contribute to the triumph of democracy, freedom and human rights. We are all meant to be free. Free to be. Free to choose. To gift and receive from one another. The earth and all the creatures are gifting to us every moment. What would it take us for us to honour our planet and know that we are stewards, not owners of the land? And imagine what would be possible if we chose to be in communion with all beings? As the sun rises, I listen in wonder to a lion calling for his mate who had gone off hunting. He reminds us of our power; not a power over but a true potency of being. The monkeys jumping from tree to tree, and deftly escaping with our food, invites us to the joy we could be all the time. Are you playing every day? The stunning beauty of the cheetah catches my breath. It doesn’t matter what colour you are or if you have spots or stripes, we are each beautiful creatures. Would you be willing to give up all judgement of you? And to thank your body with total gratitude? I also had the privilege of hanging out with elephants. As my hand rested on them, I marvelled at their magnificence. They have this amazing combination of strength and unpretentiousness, of timelessness and presence, of individuality and of being a collective. As one walked forward, I simply got out of the way! What would it take for us to go forward toward a more peaceful world, without letting anyone or anything stop us? 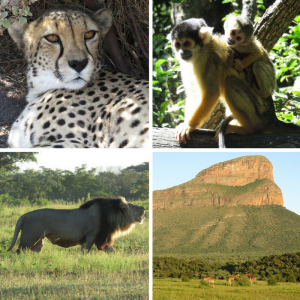 While in South Africa, I also completed a 7-day immersion course with Access Consciousness. I recorded this video at the end of the course with the zebras who wandered by. 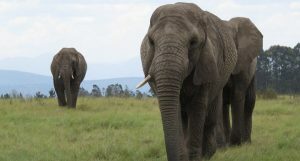 Perceive and receive the gift of you, the animals, earth. What could we create if we acknowledge the interconnectedness of us all? Cape Point: Time to Step Up! Hiking in this nature reserve inspired my latest video in which I ask us to step up and be all that we can be, regardless of any barriers, reasons or justifications. Let’s create a different reality with caring, kindness, curiosity, and non-judgement. The stunning Cape Peninsula with two oceans colliding left me wondering, what else is possible? Before leaving South Africa, I went to the beach along the Garden Route one evening; it was mostly deserted. I noticed a woman down the way with her feet in the ocean. As I approached, we simply hugged and then said hello. She is a beautiful black woman thinking of moving. She has never left South Africa but would like to travel, and was amazed that I travelled alone. As we parted ways, it felt like the most natural thing in the world to hug a stranger. Imagine our world if everyone thought so too? Thank you South Africa, you are a special country and I loved every minute with you.